Posted by admin in activity reports, Bezymianny, eruptions, Kamchatka, Russia. 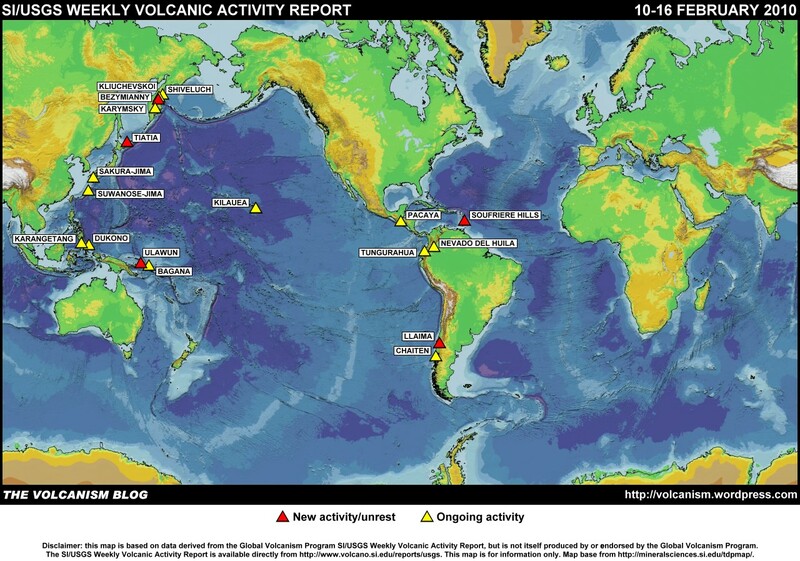 According to seismic data, an explosive eruption of the volcano began at 21: 45 UTC on December 16. Ash explosions > 10.0 km (>32,800 ft)ASL could occur at any time. 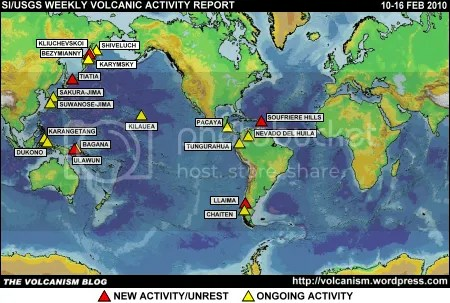 The activity of the volcano could affect international and low-flying aircraft. Tokyo VAAC issued an ash advisory at 22:51 UTC reporting ash at FL320 (32,000 feet or 9750 metres). No further information as yet, and as the KVERT bulletin indicates the Bezymianny webcam is currently showing only a blank cloudy sky. UPDATE. A further ash advisory from Tokyo, issued 23:41 UTC, reports ash up to FL350 (35,000 feet or 10,600 metres). Posted by admin in Bezymianny, Kamchatka, Kliuchevskoi, Russia, Shiveluch. The Russian news agency RIA-Novosti reports that new cameras are to be installed to monitor Kliuchevskoi, Bezymianny and Shiveluch volcanoes in the north of the Kamchatka peninsula. Their images will be made available online. Apparently two new high-resolution cameras are to be installed that will update their images every minute (presumably one of the cameras will monitor both Kliuchevskoi and Bezymianny, which are near neighbours). In a further illustration of the mass media’s firm belief that to illustrate a story about a volcano, a picture of any random volcano will do, the RIA-Novosti story features a photograph of Chaitén volcano in southern Chile. 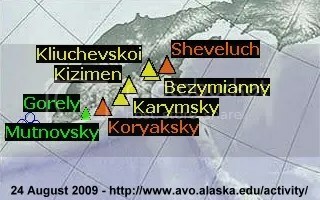 Posted by admin in Bezymianny, Kamchatka, natural hazards, Russia, volcano monitoring. Moderate potential hazards are caused by ash plumes, ash falls, pyroclastic flows, hot avalanches and lahars. The volcano constitutes a potential hazard to international and local airlines at Kamchatka because its eruptive clouds can rise to a height of 8-15 km ASL and extend for hundreds of kilometers from the volcano to different directions. 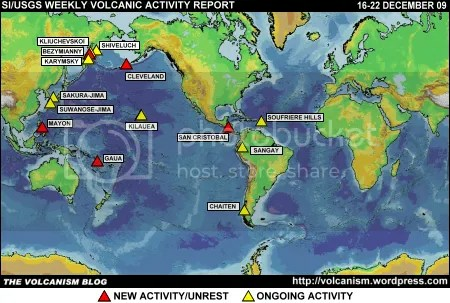 In a project lasting several years, the Russian/US team will be installing modern seismic and other monitoring networks and probing the volcano’s eruptive processes. 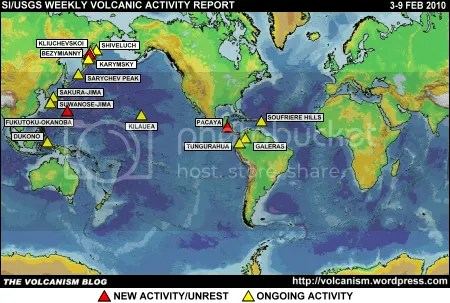 The project involves scientists from the Russian Institute of Volcanology and Seismology and the University of Alaska-Fairbanks.